The joy of marriage can only be explained by experience, but your guests can join in on your union and watch as the two of you profess your love for one another. A vital part of many wedding ceremonies are the traditions they may or may not include for some cultures your wedding may not be complete or built to last without them. In the African-American community there are plenty of old sayings ,traditions , and tricks we use on a daily basis, but there are also some wedding traditions that are a must. 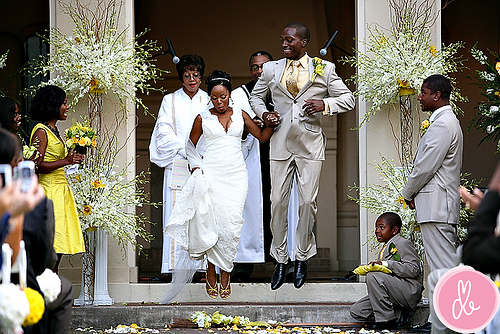 Jumping the broom, is a custom that has its roots in Africa to symbolize the beginning of making a home together.It took on a deeper meaning when during the days of slavery in the America , African-American couples were not legally permitted to marry. As a public announcement and a statement of their love and commitment, a man and woman jumped over a broom pronouncing their entrance into matrimony. Today, African-American couples tend to include this custom in their wedding ceremony. 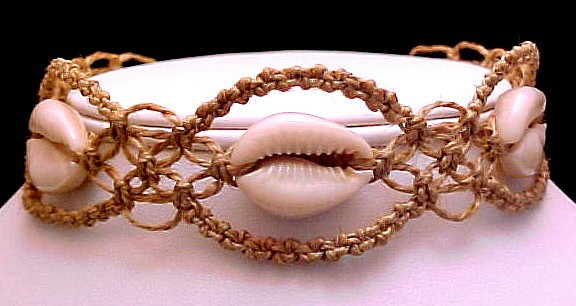 Some African-American brides wear cowrie shell necklaces or decorate their attire with cowrie shells they are believed to encourage fertility. 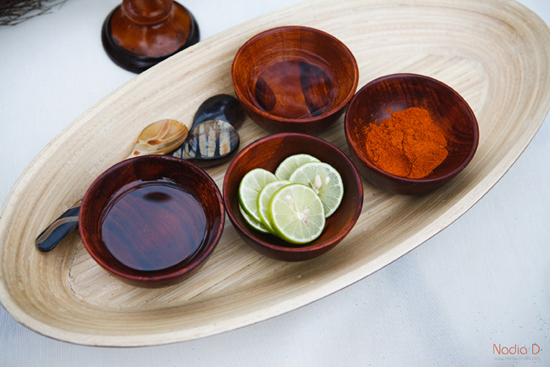 A little known and less practiced African-American wedding tradition, require that the bride and groom taste: lemon representing the sour, vinegar representing the bitter, cayenne pepper representing the hot, and honey representing the sweet and delicious times of marriage. This ritual dramatizes the traditional promise to love “for better or worse, for richer or poorer, in sickness and in health”. In every single tradition , no matter the culture there is a way to share and spread the love that the two of you feel for each other. Just remember to pick a few traditions and not too many is that’s an option, you don’t want your guests to become overwhelmed with things that are going on. Keep in mind it is easy to become confused if your traditions aren’t common place. This entry was posted in Uncategorized, Wedding Advice & Tips, Wedding Details, Wedding Planning and tagged bridal, Layne Corban, marriage, Multi cultural wedding, Wedding Day, Wedding Details, Wedding Planning, Weddings. Bookmark the permalink.